The Malahat Review congratulates Claire Caldwell of Toronto, ON and Kim Trainor of Vancouver, BC whose poems, "Osteogenesis" and “Nothing is Lost” have won our 2013 Long Poem Prize. Maggie and Julie’s entries were chosen from 194 entries by our three final judges, Elizabeth Bachinsky (Vancouver), Dave Margoshes (Saskatchewan), and Lorri Neilsen Glenn (Halifax). Both winners will receive an award of $1000 CAD in prize money. Of Kim Trainor’s “Nothing is Lost,” the judges said “[the poem] explores the aftermath of the Srebrenica genocide in 1995 in which thousands of Bosnian Muslims were massacred. Such profound cultural and personal loss is almost beyond language. Taking as inspiration the International Committee of the Red Cross Book of Belongings, a publication of photographs and personal effects, the poet creates an alphabet of loss, weaving images of a glove, a marble, notebook, buttons – exquisitely particular personal items – with insights into the ways artifacts themselves become saturated with human sentience. Carefully ordered into 26 sections, the work is sharp and contained in its craft, yet its notes resonate across time and distance. The elegiac power of the poem carries scraps of cloth, rain, muddy fields, and wildflowers along with the immeasurable weight of horror and silence. A Noel Coward lyric poem about mortality, also titled 'Nothing is Lost,' speaks of 'Forgotten debris of forgotten years / Waiting to be recalled, waiting to rise.' We all know particular, personal grief. Kim Trainor’s 'Nothing is Lost' is a world-reaching lament for debris in all its forms, and for memory itself, inviting us to enter into the world-shattering impact of massive slaughter. In the tradition of Akhmatova or Celan, she writes of a bloody gash in the world’s flesh larger and deeper than most of us can imagine." 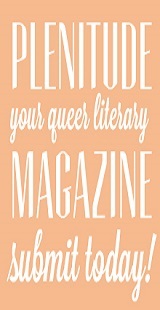 You’ll be able to read these two poems in our Summer 2013 issue, #183 due out in late July. Read interviews with Claire Caldwell and Kim Trainor. 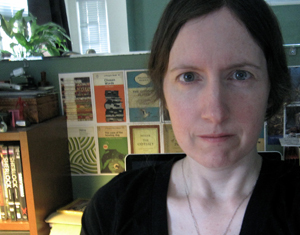 Claire Caldwell, a winner of the 2013 Long Poem Prize. 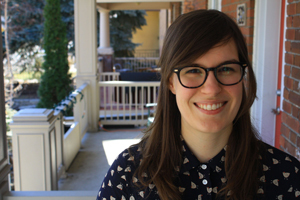 Claire Caldwell is a Toronto-based poet and recent graduate of the University of Guelph's MFA program. When she's not writing, Claire works as an editorial assistant at a romance publisher (she also works on their lesser-known, but no-less-excellent, mystery and men's adventure novels). On weekends, she teaches young people to rap to Dr. Seuss and to spin their own rhymes. Claire's poems have appeared in Maisonneuve, Carousel, and Prism International, among other publications, and her first book is forthcoming from Wolsak & Wynn in the fall of 2014. Kim Trainor, a winner of the 2013 Long Poem Prize. Kim Trainor's poems have appeared most recently in Prairie Fire and Existere, and are forthcoming in Grain, Qwerty, and The Dalhousie Review. Her poetry was longlisted for the 2012 CBC Poetry Prize, and her poem "Russian Notebook: Moscow 1918-1920" won Second Prize in The Antigonish Review's 2012 Great Blue Heron Poetry Contest. She has recently completed a first collection of poetry, entitled Karyotype, and has just begun work on a book-length poem on the archaeological discovery of Ledi, an Iron Age woman who was excavated from an ice-bound kurgan in the steppes of Siberia. With the exception of five very cold years in Montreal, Kim has always lived in Vancouver. 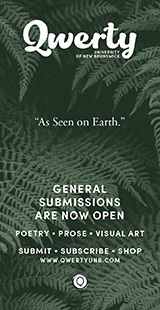 Finalists for this year’s contest include: Michael Prior, "Marie (I-XII)," Genevieve Lehr, "the latter half of the third quarter of the waning moon," Kim Trainor, "When they come to that country swept with light," Eric Folsom, "The Senryu of Solomon," and Chad Campbell, "February Towers." Elizabeth Bachinsky is the author of five collections of poetry: Curio, Home of Sudden Service, God of Missed Connections, I Don't Feel So Good, and The Hottest Summer in Recorded History (forthcoming, 2013). Her poetry has been nominated for awards including the Pat Lowther Award, The Kobzar Literary Award, The George Ryga Award for Social Awareness in Literature, the Governor General's Award for Poetry, and the Bronwen Wallace Award, and has appeared in literary journals, anthologies, and on film around the world. 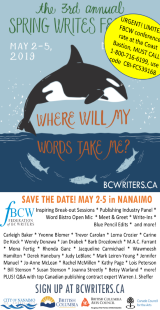 She was born in Regina, raised in Prince George and Maple Ridge B.C., and now lives in Vancouver where she is an instructor of creative writing and the editor of EVENT magazine. Dave Margoshes is a Saskatchewan writer whose stories and poems have appeared widely in Canadian literary magazines and anthologies. He’s published over a dozen books, including five collections of poetry – the most recent, Dimensions of an Orchard won the Anne Szumigalski Poetry Prize at the 2010 Saskatchewan Book Awards. His poetry has won a number of other awards, including the Stephen Leacock Prize for Poetry. A collection of linked short stories, A Book of Great Worth, was published in spring 2012. Lorri Neilsen Glenn grew up in Western Canada and now lives and teaches in Halifax, Nova Scotia, and returns to Saskatchewan when she can. Her love both of the East Coast and the Prairies is evident in her collections of poetry, the most recent being Lost Gospels (Brick Books, 2010), and in her creative nonfiction, including memoir. Lorri is the author and contributing editor of seven collections of essays and ethnographic work and an anthology about mothers of the 1950s. Lorri has taught at The Great Blue Heron workshop, for the Writers' Federation of Nova Scotia, St. Peter's Writing Program, Los Parronales Writers' Retreat, Mount Saint Vincent University, Edith Cowan, James Cook, Queensland, and Murdoch Universities, among other organizations. 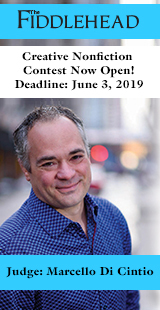 The Malahat Review’s Long Poem Prize runs every other year, alternating with our Novella Prize. 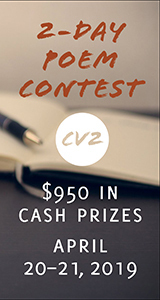 The deadline for the next Long Poem Prize is February 1, 2015 (postmark date).